If you’re someone who likes the thrill of a competition when you ride, whether it’s against others or trying to beat your own personal best, you’ll want to be equipped with the very best equipment. For cyclists, this often means spending thousands of dollars getting a triathlon bike and finding that it just doesn’t get the use that it deserves, ultimately wasting the money you saved months to use. One simple option to this problem is to equip your bike with aero bars, enabling you to get the aerodynamic performance you’d come to expect from a triathlon bike. The main bonus is that you spend just a fraction of a cost and attach them to your regular bike, saving you time and money in the process and giving you the ability to use your regular bars as you need. The market for aero bars is limited somewhat when it comes to truly quality products, and with an aero bar needing to be completely adjustable to suit your needs you’ll want something that can deliver. However, most of the common brands only feature just one area for adjustability which really doesn’t give you many options at all. Profile Design is a leader in the cycling world, and their aero bars have been designed to tackle this exact problem. They offer multiple areas for adjustment on their T3+ Aero Bar so that you can make it fit perfectly to both your body and your bike, giving you the most aerodynamically smooth ride of your life. Whether you’re a complete newcomer to cycling or have years of experience behind you, you’ve likely already heard of the Profile Design name. This brand makes the right products for your bike and they’re all backed by quality, innovation, and comfort. Their range of aero bars is considered to be among the best, and they have all different styles to suit every rider. ​​​​​The biggest feature of the Profile Design T3+ Aero Bar is the multi-position drop bend extensions, making it the perfect choice for triathlons and time trials. Even if you have no competition planned, just equipping these bars with your regular bike will give you speed and agility like you’ve never experienced before, with the lowest wind resistance possible. When you’re done, you can detach them and enjoy your regular bike just as before, giving you two options with just one product. 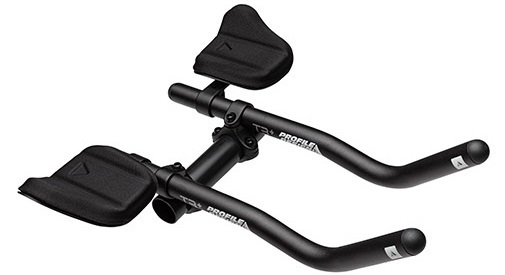 The best feature about this Aero Bar and most of the other styles by Profile Design is the adjustability. There are adjustable anatomic armrests that give you the most comfortable position and multi-position drop bends so you can move it around as you need. Some people found that this took a bit of work and a lot of trial and error to get right, but once they did they couldn’t be happier with the results. There have been some online reviews that claimed either noise or vibration came from these bars when attached to the bike, and the only real way to fix it is with a professional installation. This can add a bit more cost to your overall purchase, so if you’re looking for something easier to fit yourself you might prefer to choose a simpler clip-on style of aero bar. 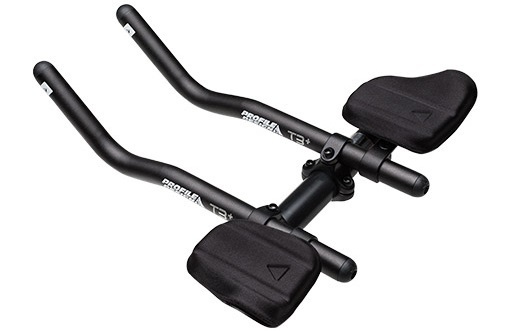 When you’ve tried the others and are now looking for a serious aero bar that ticks more of your boxes, you can head to Amazon for a low price on the Profile Design T3+ and their other range of products. Currently, this bar costs under $125 thanks to a current promotion that has over 10% off the full price. In addition to the low price, Amazon will also ship your new set of aero bars straight to your home so you can enjoy them without extra freight charges. 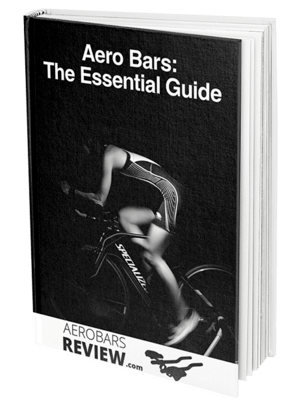 To get yourself express shipping for free you’ll need to be a member of Amazon Prime, but the benefits are massive with the Profile Design Aero Bar arriving in just two days from your order. 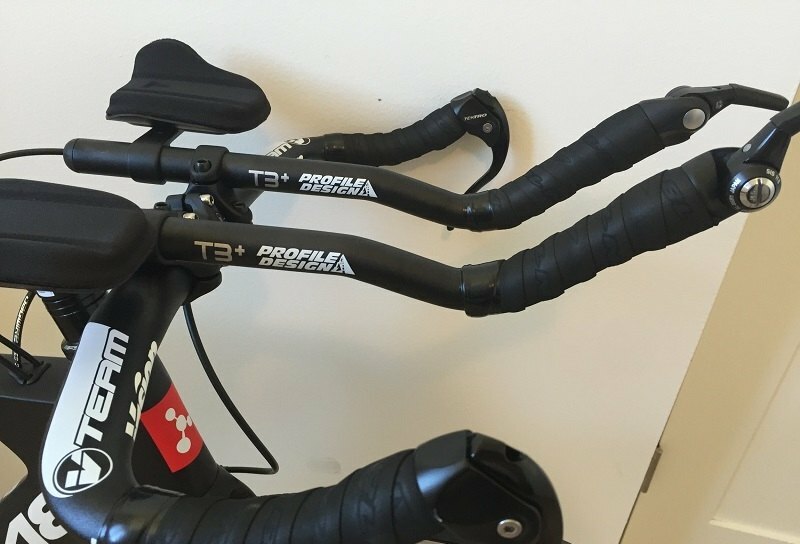 There’s no official warranty listed on the Profile Design T3+ Aero Bar but they do offer a comprehensive customer service support program. If there are any issues, you can take the advice of the many online reviews that came before you and get some helpful advice from this dedicate customer support line. If you’ve been searching for the ideal pair of aero bars that gives you the constant adjustability that you need from day to day, you can stop looking now that you’ve found the Profile Design T3+ Aero Bars. This unique device can transform your regular bike into something worthy of winning a triathlon with a simple installation, so there’ll be nothing standing in your way. These amazing bars can save you thousands of dollars from investing in a new bike and best of all you can still use your regular bars when you feel like it. To get the Profile Design T3+ Aero Bars and update your bike to be its aerodynamic best.